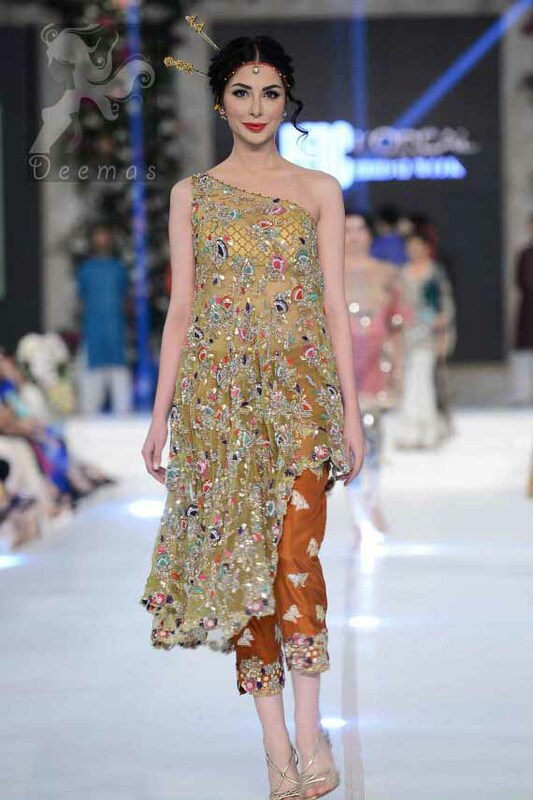 Tags: Capri, Mehndi Mayon Henna, Orange, Rust, Short Length, Yellow. 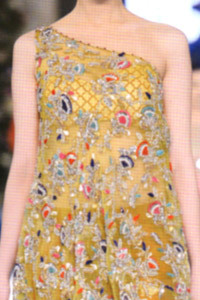 Yellow Pure chiffon fully embroidered side drop shirt. 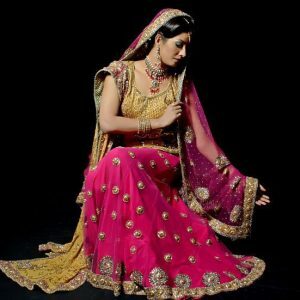 Embellishment work includes multiple color resham, kora, naqshi and stones. This dress comes with rusty orange capri pants. Embellished border implemented at the bottom. Small motif spray scattered all over the trouser.